Facebook has rolled out Creator, a new app for video broadcasters on its platform, to enhance their content with custom graphics, and tools to interact with their audience better. The mobile app (available now for iOS, with an Android version in the works), will let you add intros and outros to your Live broadcasts, as well as graphic frames and stickers through the duration of your stream. There are also additional camera effects to play around with. A new Commnuity tab features a unified inbox so you can see all your comments from Facebook and Instagram, as well as messages from Messenger. In addition, you can now access analytics about your Facebook Page, videos, and your viewers. The launch of Creator signals a larger push from Facebook into the video space. Beyond empowering amateur content creators, the tool is also intended to be used to by people producing shows for the company’s Watch video service, which launched in August with the likes of Nas Daily and Gabby Bernstein. 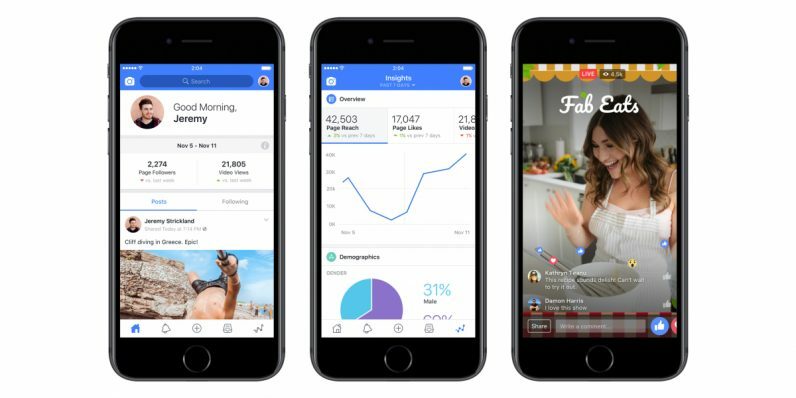 It’s also worth noting that Facebook has been testing another tool called Fan Club App to help video creators garner larger audiences on its platform. However, it seems at present that the two apps will work independently of each other. That should help Facebook battle YouTube to gain more viewers, but it remains to be seen just how many people take to the social network to watch more episodic content and livestreams over time. A big part of how this will play out will depend not only on the tools each platform offers, but also the size of the audiences and the cut that creators get from ad revenue. Facebook Creator is available now from the App Store, and will arrive for Android in the coming months.